The Keihin-Tohoku Line is a busy train line connecting the cities of Saitama, central Tokyo and Yokohama, among others. The line’s name is derived from Tokyo, Yokohama, and Tohoku Main Line when written in Japanese characters. The train line has been in operation for well over 100 years, having taken on its first passengers in 1914. 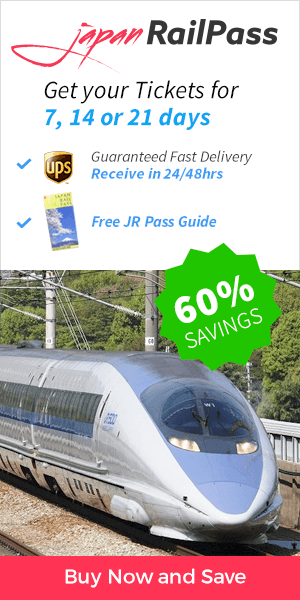 Your Japan Rail Pass is valid on most trains along the JR Keihin-Tohoku Line, as it is owned by JR East. Where will your travels take you – to Tokyo, Yokohama, or elsewhere? When will your trains depart, and when are the stations the most crowded? Check out this handy travel guide for more information. 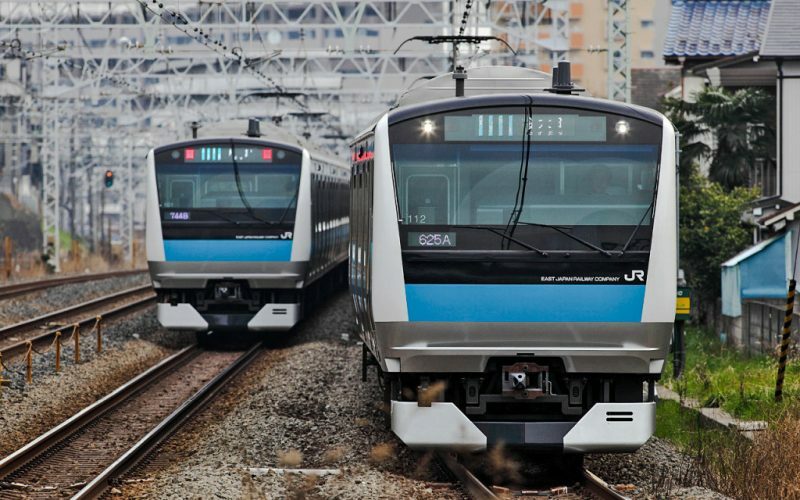 Trains on the JR Keihin-Tohoku Line generally run every two to three minutes during the morning and evening rush hours. On weekdays, rush hours peak between 8 am and 9 am, after 5 pm, and to a lesser degree just before the night’s last trains. During the day, between these rush hour times, trains depart every five minutes, and less frequently at night. The first trains typically begin operating around 5:30 am, and the last trains of the day typically depart between 11 pm and 1 am. Most trains on this line are considered local trains, making stops at each station along the route. Rapid trains allow faster travel over long distances, stopping at a limited number of major stations along the route. The JR Keihin-Tohoku Line uses portions of the Tokaido Main Line, Negishi Line, and the Tohoku Main Line. Stations from Tokyo to Yokohama are officially considered part of the Tokaido Main Line. The Keihin-Tohoku and Tohoku Main Line use separate tracks between the Akabane and Ueno Stations, representing alternate routes. In central Tokyo, the Keihin-Tohoku Line runs parallel to the Yamanote Line. The last station on the line is Ofuna station, which provides a handy connection to Kamakura through the JR Yokosuka line. Another station is scheduled to open along this line before the 2020 Summer Olympics. It will be located between the Tamachi and Shinagawa Stations and include direct access to Shinkansen trains, Haneda Airport, and a nearby international high-rise business center. Now, let’s take a closer look at some of the major stations along the Keihan-Tohoku Line. Located in the commercial center of the city of Saitama, museums, parks, shrines, and cherry blossom spots are all within walking distance of Omiya Station. Tokyo’s Ueno Station is a gateway to the numerous attractions located in Ueno Park – with its famous museums and zoo – and the Okachimachi shopping district. The station itself is large and, as part of the Yamanote Line, offers transfer to many of Tokyo’s other points of interest. Akihabara Station offers entry to the Akihabara Electric Town, a shopping district famous for electronics stores and a mecca of otaku anime and manga culture. One of the busiest train stations in the world, Tokyo Station is your connection to the rest of Japan. In addition to Tokyo Station’s rapid, local, and subway trains, you can board the super fast Shinkansen bullet trains using your JR Pass. A terminal station for the Keihin-Tohoku line, Yokohama Station is situated in a populous shopping district within the country’s second largest city. Nearby are stores such as Bic Camera and Yodobashi Camera, and the Parco department store is located within the station itself.